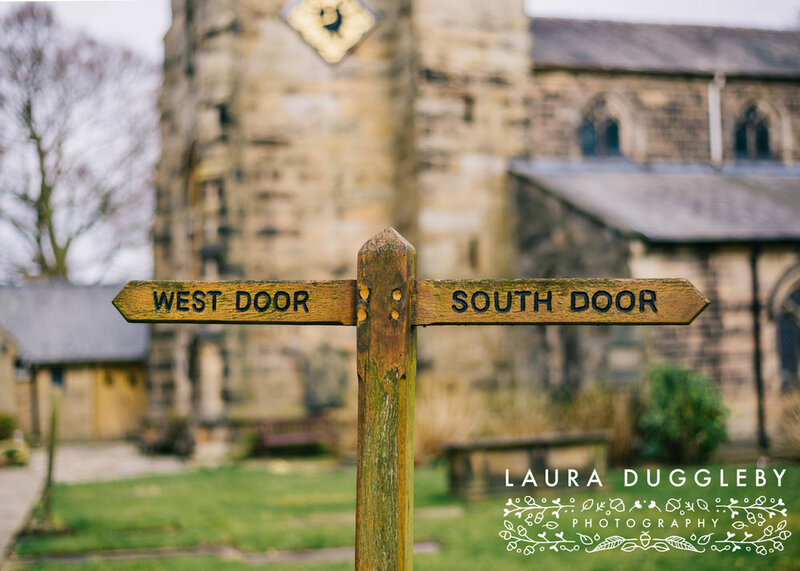 Village Hall Wedding With A Film Inspired Theme! 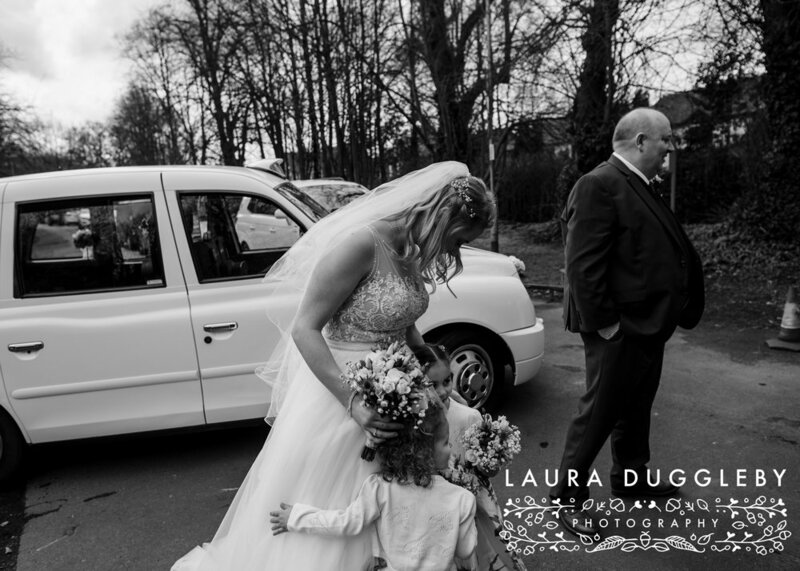 As a Lancashire wedding photographer, I have the honour and privilege to spend my working days, with amazing couples at gorgeous venues across Lancashire and the Ribble Valley. 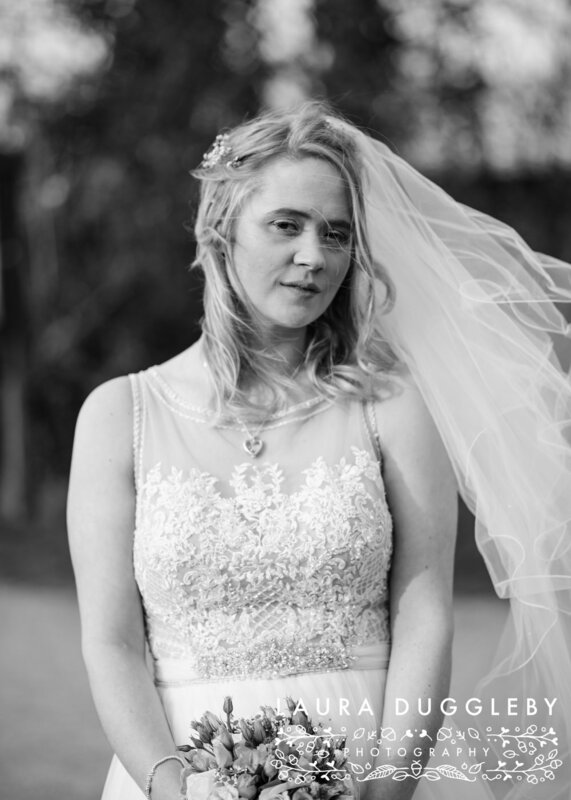 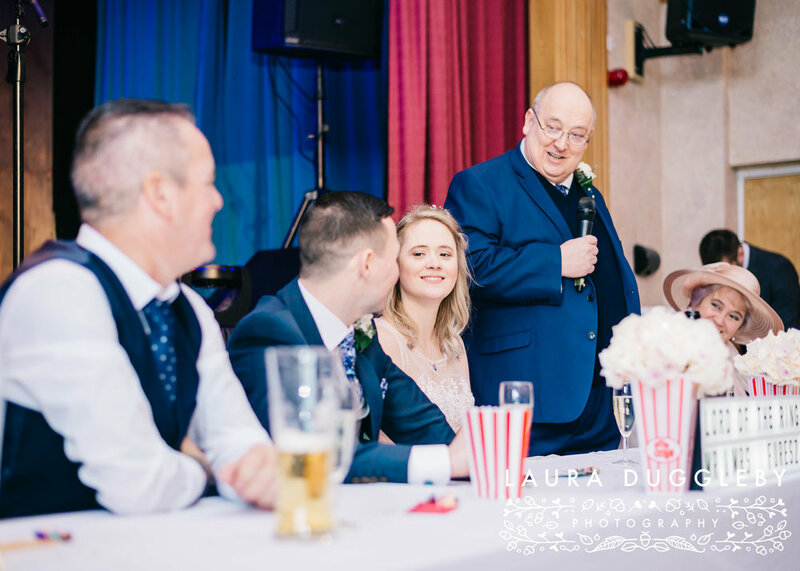 Sometimes an established venue just doesn't give you the personalised feel that you want for your wedding, which is why there is a growing trend in 'DIY Village Hall Weddings.' 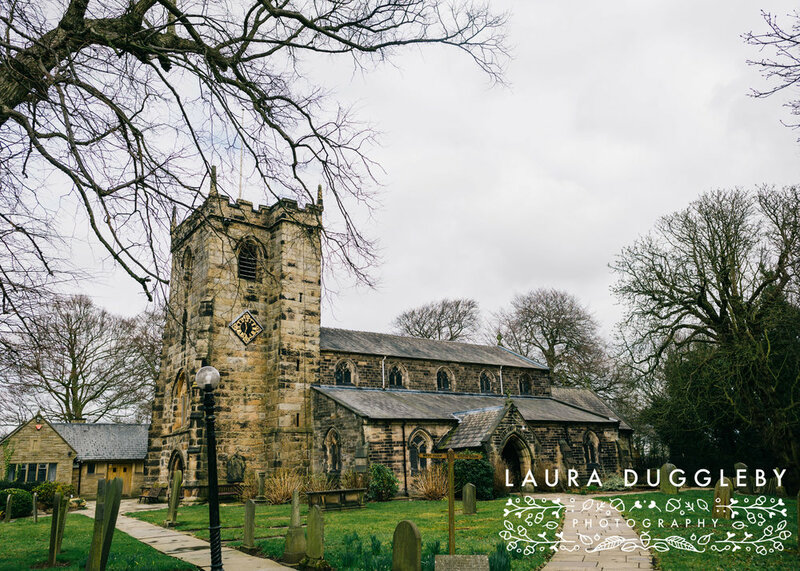 Emily and Shane share a love of film and music so chose to have a film inspired Village Hall Wedding, and you know what.....it was fabulous and possibly one of my favourite weddings so far this year! 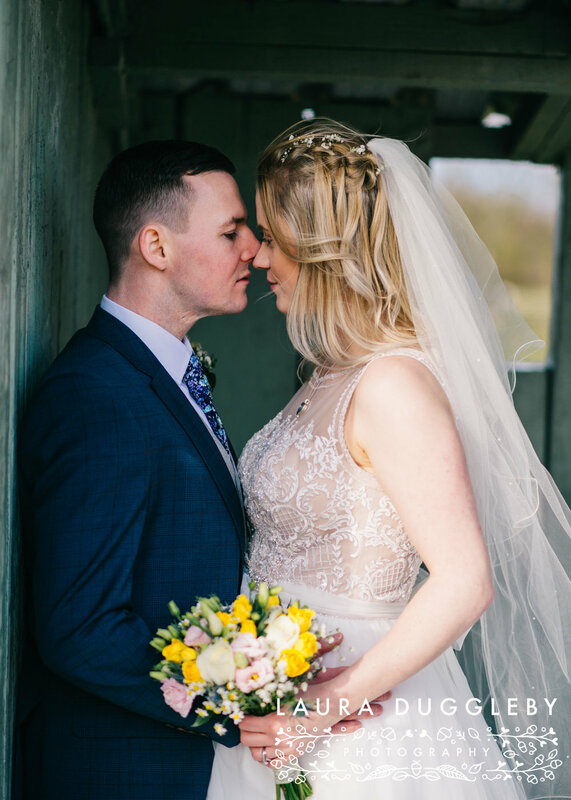 Emily and Shane are just utterly wonderful, from the moment I met Emily we instantly clicked, and I knew their wedding would be amazing, and it certainly didn't disappoint. 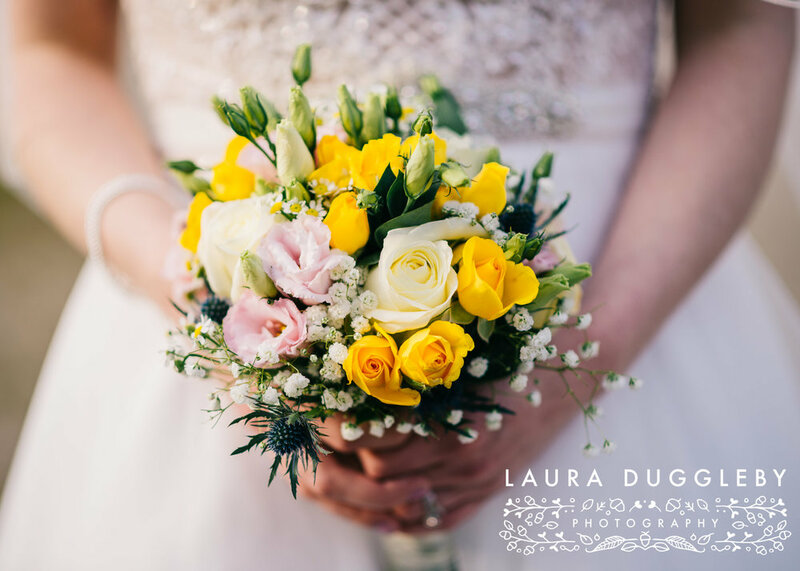 From the wild flower bouquets to a vintage red wedding bus with a sprinkling of popcorn and fish and chips, it had it all. 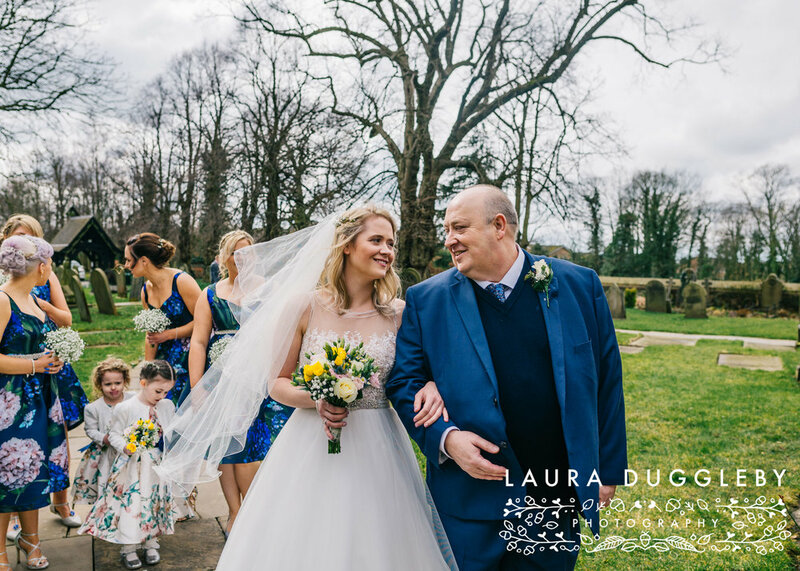 Emily and Shane's families were so welcoming I felt more like a wedding guest than the wedding photographer! 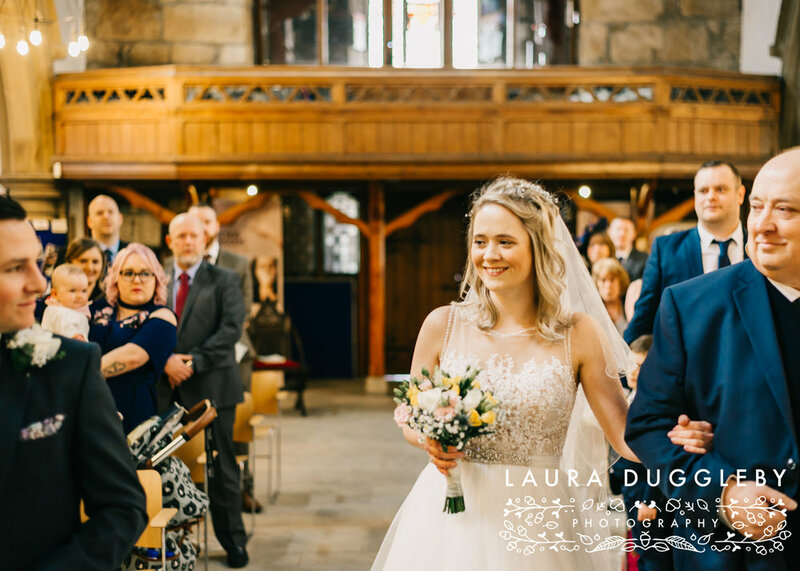 Emily and Shane were married in their local church, the stunning St Mary's at Penwortham surrounded by their family and friends. 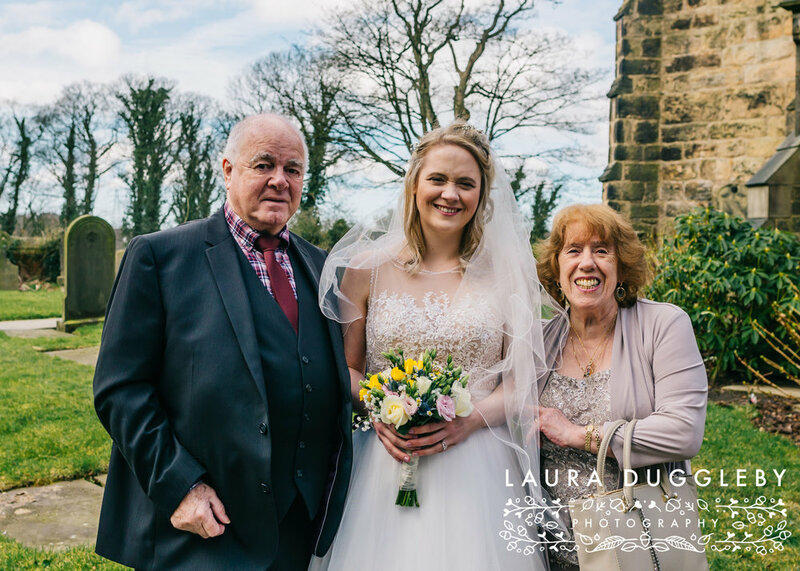 The church is very important to the family and so we made the most of the lovely spring light, by having formal photographs taken immediately after the ceremony. 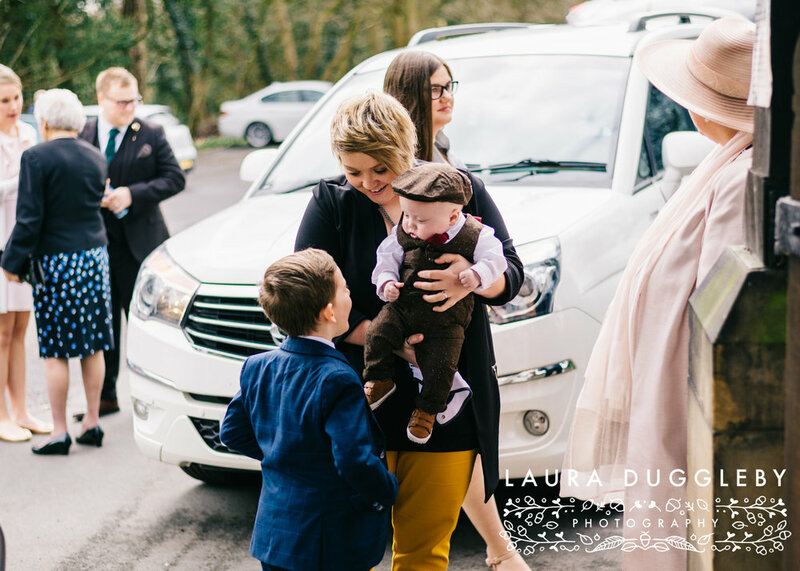 The wedding guests travelled in style to Mawdesley Village Hall on a vintage red wedding bus and were treated to fish and chips, and a full English afternoon tea courtesy of Kate's Pantry. 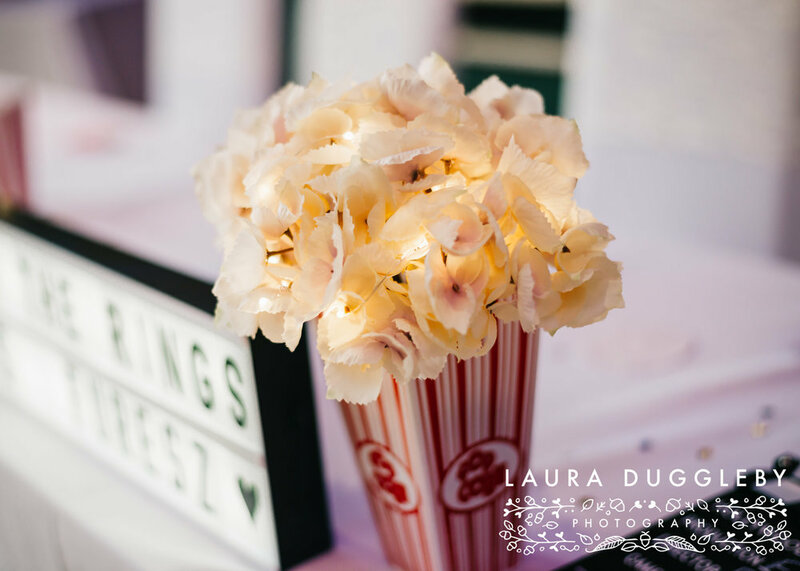 Emily and Shane's film inspired theme, was seen through the Lego place-names, popcorn flower centrepieces, lots of references to the Lord of the Rings and an actual popcorn wedding cake!They really had added so many personal touches it was lovely to see and photograph. 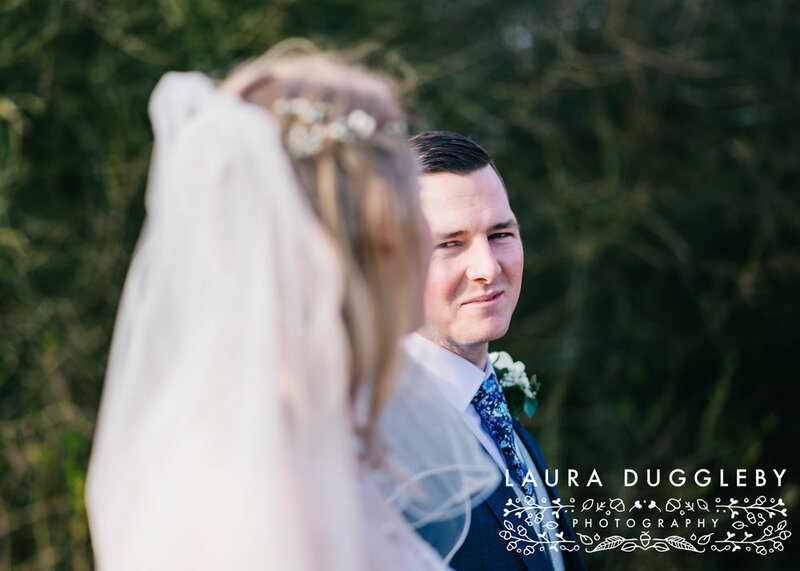 Once the formalities were all completed we went out for couple portraits, this is one of my favourite times of any wedding day. 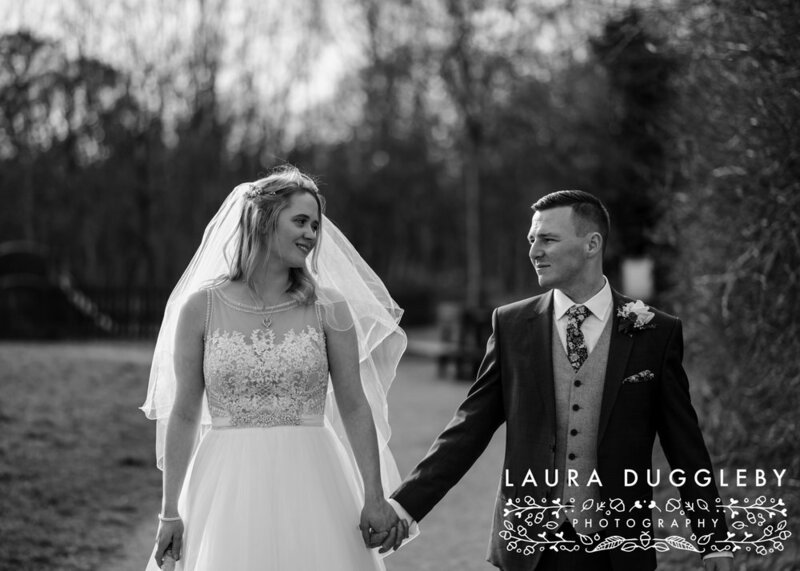 We had a walk around the local park before heading into some nearby woods for Emily and Shane to have a little kiss and cuddle under some stunning light! 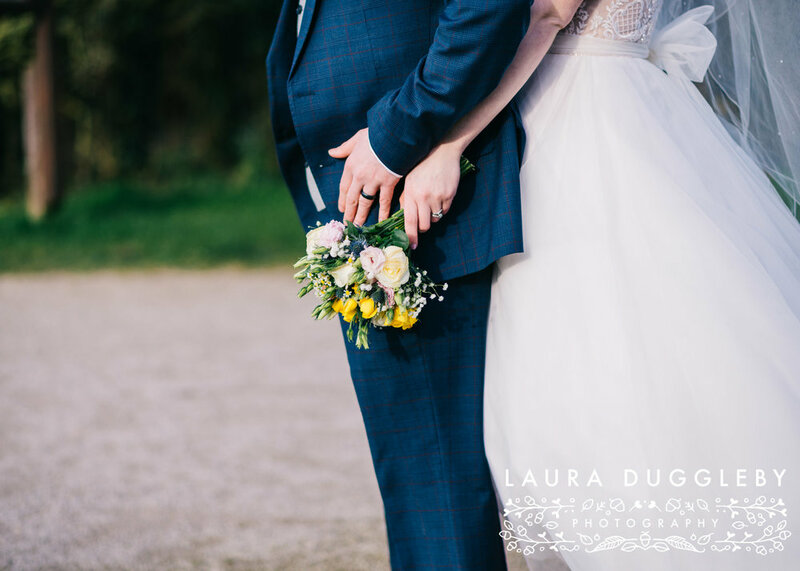 A big thanks to Emily and Shane for asking me to be a part of their very special day and of course a huge thanks to all the amazing suppliers who helped to make this couples Village Hall Wedding so special. 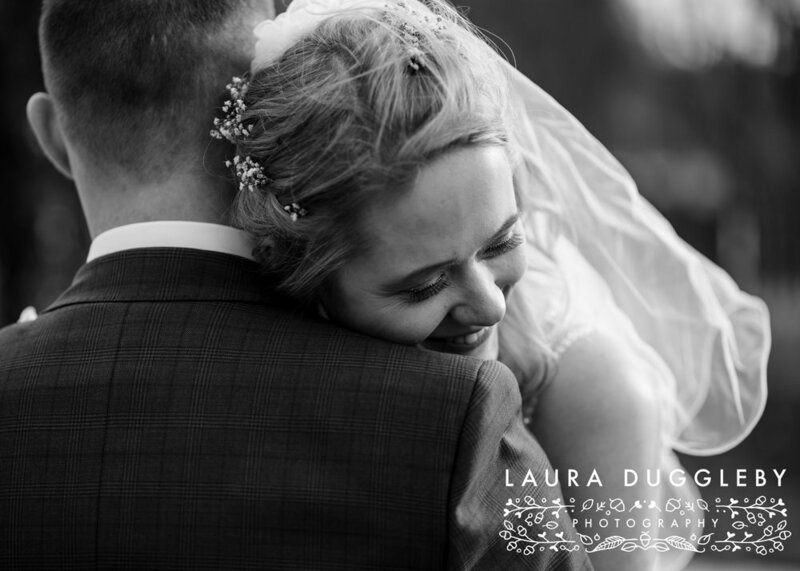 Below are a selection of my favourite photographs from Emily and Shanes wedding, enjoy!